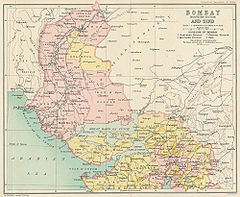 Bombay State was a large Indian state created at the time of India's Independence, with other regions being added to it in the succeeding years. Bombay Presidency was merged with the princely states of the Baroda, Western India and Gujarat and Deccan States (which included parts of the present-day Indian states of Maharashtra and Karnataka. Bombay State was a large Indian state created at the time of India's Independence, with other regions being added to it in the succeeding years. 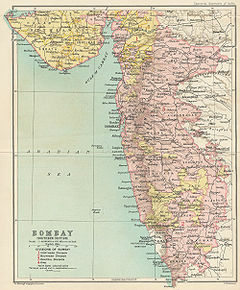 Bombay Presidency (roughly equating to the present-day Indian state of Maharashtra, excluding South Maharashtra and Vidarbha) was merged with the princely states of the Baroda, Western India and Gujarat (the present-day Indian state of Gujarat) and Deccan States (which included parts of the present-day Indian states of Maharashtra and Karnataka. On November 1, 1956, Bombay State was re-organized under the States Reorganisation Act on linguistic lines, absorbing various territories including the Saurashtra and Kutch States, which ceased to exist. On May 1, 1960, Bombay State was dissolved and split on linguistic lines into the two states of Gujarat, with Gujarati speaking population and Maharashtra, with a largely Marathi speaking population..